Jay Perkins Templeton was the son of Greenberry Shields and Hattie Templeton and the half brother of Julia Aletha 'Letha' (Hamilton) Templeton and Laura Annettie 'Nettie' (Hamilton) Templeton. Draft card date: June 5, 1917. Jay was 23. Born in Winona, Washington in Feb 26, 1894 and living in Wallowa, Wallowa County, Oregon. Jay Templeton was the youngest son of Greenberry Shields Templeton and a brother to Julia Aletha and Laura Annette Templeton who married Frank and Judd Hamilton respectively. 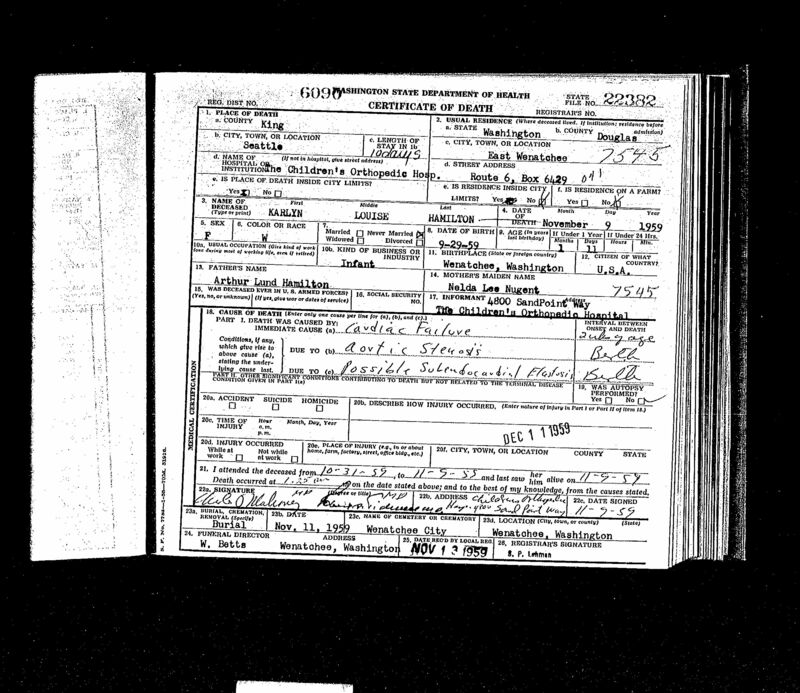 Jay's name on his birth record is actually mis-recorded (or mis-transcribed when it was typed in this record book). It should be Jay Perkins Templeton. He was born that date to Greenberry Shields Templeton near Endicott in Whitman County, Washington. Jay Perkins Templeton was the son of Greenberry Shields and Hattie Templeton and the half brother of Julia Aletha 'Letha' (Hamilton) Templeton and Laura Annettie 'Nettie' (Hamilton) Templeton. He died in July 31, 1978 at age 84. Last residence: 97828 Enterprise, Wallowa, Oregon. James 'Jim' Ramsay was the son of George Ramsay who was the son of James Watt Ramsay and Mary Adelaide Spaulding. Jim married Ona Martha McKinney in Republic in 1934. Jim was raised in the Wauconda area. He and Ona are buried in the Tonasket, WA cemetery. In this interview, Jim shared his memories and of those of his father concerning the county road maintenance efforts in that part of Okanogan County. This PDF files is a summary of Joyce Hamilton's research of Mason County, Illinois School Records. Joyce noted at the time this was written that these records provided the only known proof that the family was in Morgan County, Illinois other than later Military Records. The image shown in this link is a scan from the 1830 US Census that shows John and Altha (Judd) Hamilton living next to her folks Supplina & Jemina Judd in 1830. Also listed as an independent household is Heman Judd the brother of Altha, son of Supplina and Jemina. 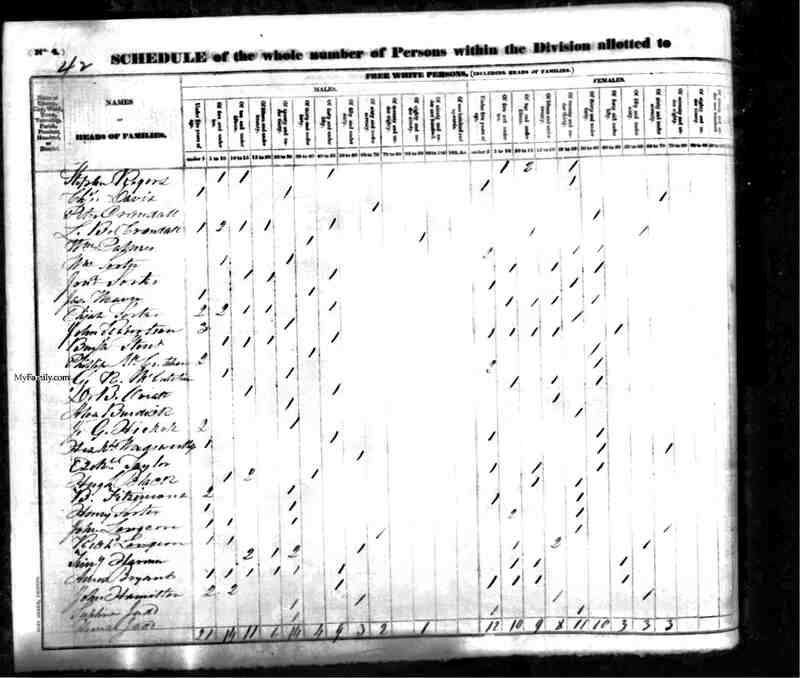 Census takers enrolled citizens in the census in the order they were encountered as they walked through the town or countyside. The fact that all three households are listed next to each other is strong evidence that they were each others closest neighbors. They were living in the district of Amity, Allegany, County in the state of NY. John P. Templeton was born in Iredell County, NC in 1810. He was the son of Robert Templeton an early settler of Shelby County, Illinois near Ash Grove. John's son Greenberry Templeton had two daughters, Julia Aletha and Laura Annettie Templeton which married Frank and Judd Hamilton respectively. Frank and Judd were sons of Supplina and Sarah Jane Hamilton. 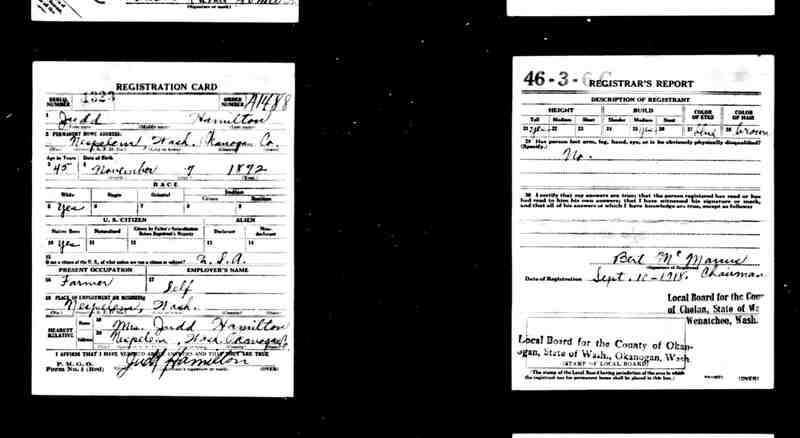 This Illinois Civil War service record is the first direct evidence that our distant uncle, John P. Hamilton served in the war. We know from letters written by John to his brother Supplina in 1894 and a sample affidavit he wrote for his Uncle Supplina Judd to use on his behalf that he was living late in life in Santiago, Chile. From Santiago he was attempting to prove his identity, and hence his citizenship, with the goal of getting a government (veteran) pension. John had been mustered out of the service as an 'invalid.' This typically meant that he had contracted Typhoid. John wrote that he was born in Friendship, NY in 1829. The information known about John coincides with this Illinois service record. John P. Templeton was the son of Robert Templeton and the grandfather of Laura Annettie and Julia Aletha Templeton. Laura Annettie 'Nettie' married Judd Hamilton and her sister Julia Aletha 'Letha' married Judd's brother Frank Hamilton. 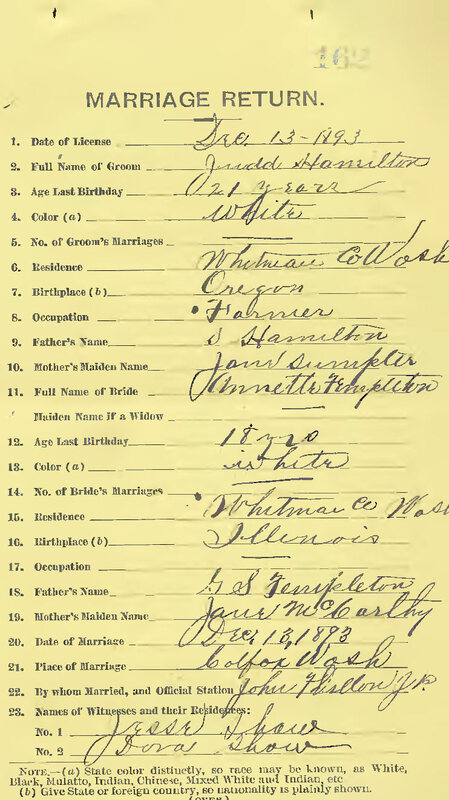 Count Cases involving John P. Templeton in Shelby County, Illinois. John was the son of Robert Templeton and the father of Greenberry S Templeton who was the father of Laura Annettie (Hamilton) Templeton and Julia Aletha (married Frank Hamilton) Templeton. John P. Templeton was a successful pioneer merchant in Windsor, Shelby County and may have need to bring suit against business associates or customers. John Ramsay was a son of James Ramsay and Mary A. Spaulding and a brother of Lillian Ramsay the mother of Elsie (Galloway) Hamilton. John was a single farmer and died after a 10 year battle with Tuberculosis on January 30th, 1924. John tried his hand at store keeping... with a very impressive net worth! John was the son of Robert Templeton and the father of Greenberry Shields Templeton. Joyce (Stover) Hamilton's inquiry about John and Altha (Judd) Hamilton published in 'The Connector' the journal of the Hamilton National Geneaological Society, October 1981. Judd Hamilton is the son of Maurice Lake Hamilton. "... Comedian Jerry Lewis' eldest son, 19-year-old Gary, heads the lineup of young rock 'n rollers n the latest "Shindig '65" show Monday, February 22 at 8. p.m. Gary appears with his own musical combo, The Playboys. His fellow performers include Doble Gray, Sue Thompson Ginger Blake, Judd Hamilton The Velvets, The Shindig Dancers and the Shindig '65 Band." Judd Hamilton is the son of Maurice Lake Hamilton. Judd is the son of Maurice L and Elsie L Hamilton. Judd Hamilton is the son of Maurice Lake Hamilton. Quoting the article: "Valley Restaurant - The Smoke House Restaurant in Toluca Lake has begun a new entertainment policy announced a restaurant spokesman. The restaurant now is featuring a new, young sound, namely, Judd Hamilton, an exciting personality who is firmly on his way to 'big things' in the entertainment world, added the spokesman. Hamilton recently completed his first movie, costarring with Richard Widmark and Caesar Romero in the Paramount release, 'A Talent for Loving,' which will screen sometime in October- He comes to the Smoke House straight from his singing debut at Ye Little Club in Beverly Hills where he reportedly received outstanding reviews in Variety- Hamilton is accompanied by Darryl Dragon on piano and Jack Conrad on bass." Judd Hamilton was the son of Supplina Hamilton and Sarah Jane Sumpter. Judd was less that two months shy of his 46th birthday when he filled out this card on September 10, 1918. 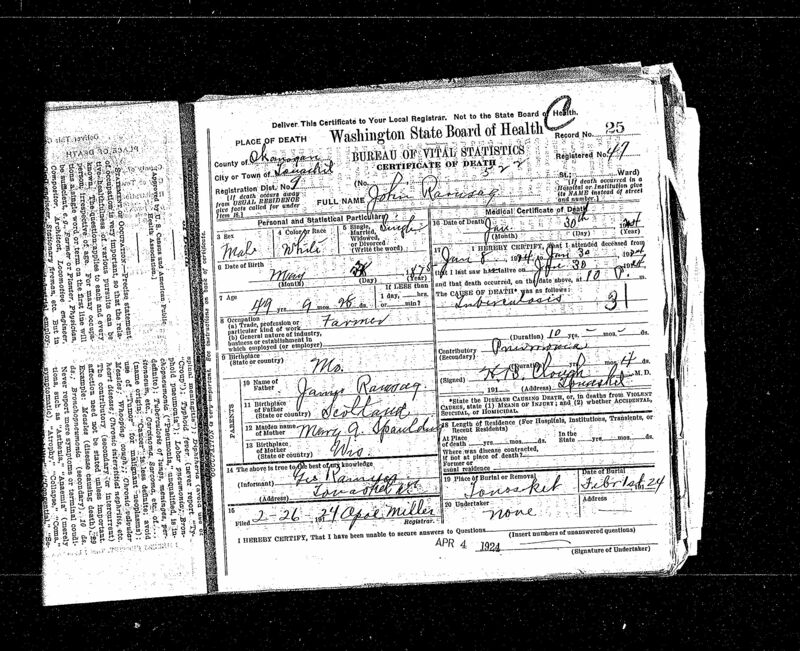 Judd lists his occupation as Farmer in Nespelem, Okanogan, Co. WA. Judd and Annettie left the Palouse country for Nespelem in approx 1915. They went to raise cattle (primarily) as grandpa Judd was not interested in the wheat farming of the Palouse country. 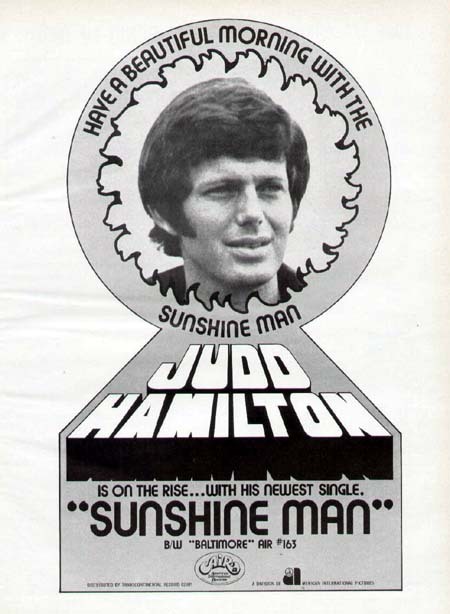 Judd Hamilton was the son of Supplina Hamilton. 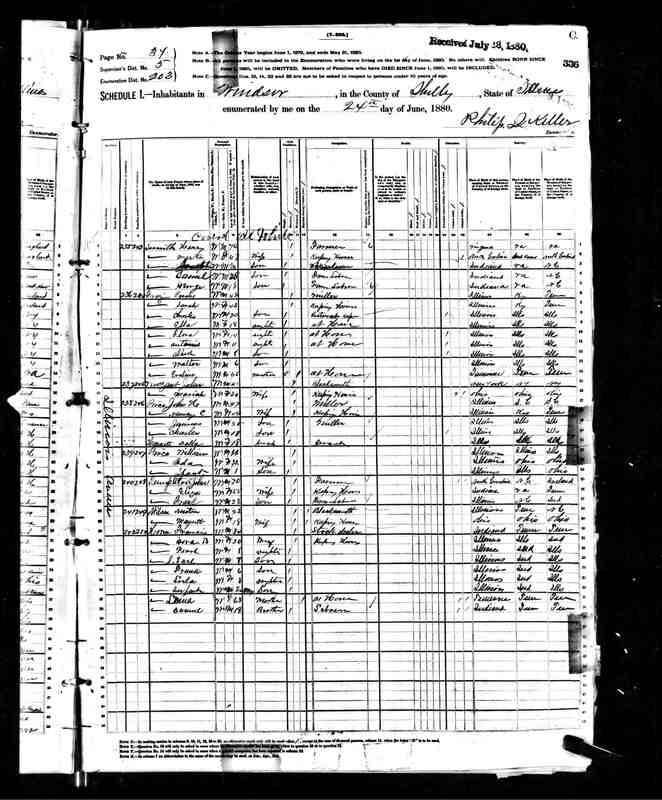 25) Judd Hamilton Family: 1900 US Census. Judd married Annettie Templeton. Judd was a son of Supplina and Jane. Location: Harper Precinct Whitman, CO. Washington. Judd and Annettie were in Tonasket at the time of the 1930 census. Only Donald and Doris (16 and 14) were at home. Karlyn Louise Hamilton was the infant daughter of Arthur Lund and Nelda Lee (Nugent) Hamilton [NeldaLee PatriciaAnn Nugent]. She died on November 9, 1959 and is buried in the Wenatchee City Cemetery in Wenatchee, WA. 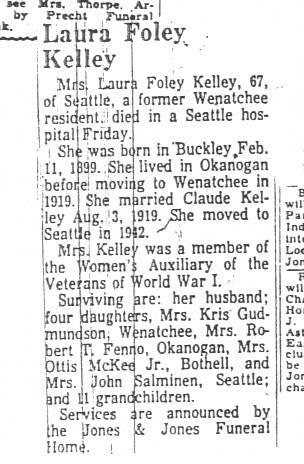 Obituary of Laura (Foley) Kelley. Laura was the daughter of Martha Ann "Annie" Ramsay and William H Foley. Annie Ramsay was a daughter of James Ramsay and Mary Adelaide Spaulding. Laura Annettie (Templeton) Hamilton Obituary. Grandma 'Nettie' was the wife of Judd Hamilton who was the son of Supplina and Sarah Jane (Sumpter) Hamilton.